Deltas often form when rivers reach the sea. The river can carry sand and mud when it is flowing fast. As the water enters the sea, it slows down, and the sediment drops to make the delta. Many deltas are at risk from climate change. This map shows the levels of risk. An estimated 80 percent of the world's megacities are located in fragile river deltas. A megacity has a population of over 10 million people. Over 500 million people live on deltas. Why are deltas at risk? One reason is rising sea level, which wears away the delta from the front. 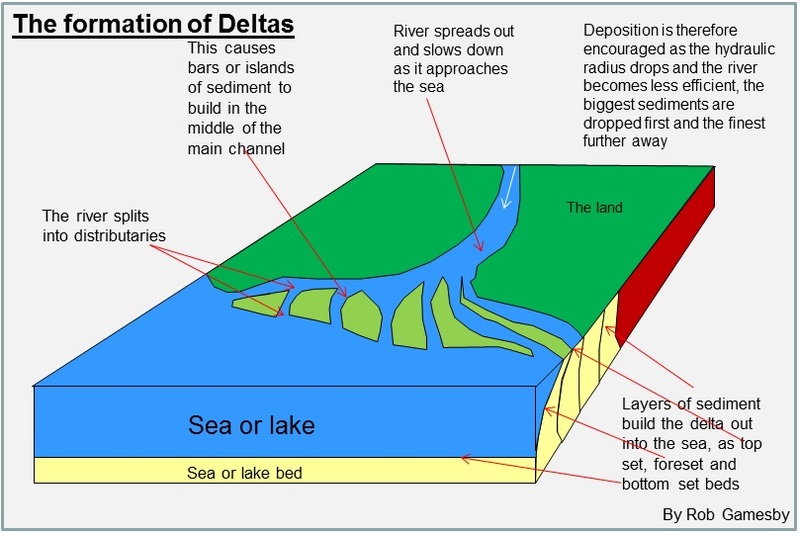 Deltas are an example of the complex processes that happen along coastlines.